Time to show you a layout I made a while ago. Picture was taken last year (!) on a South of France beach. Again a K&Company paper collection, along with Prima Marketing stamps and flowers, Want2Scrap pearls and, of course, distress ink by Tim Holtz. the title was cut with my Cricut. Stunning! This is just beautiful. I love the photo, the flowers w/ flourishes and the pearls are perfect!! Great layout. 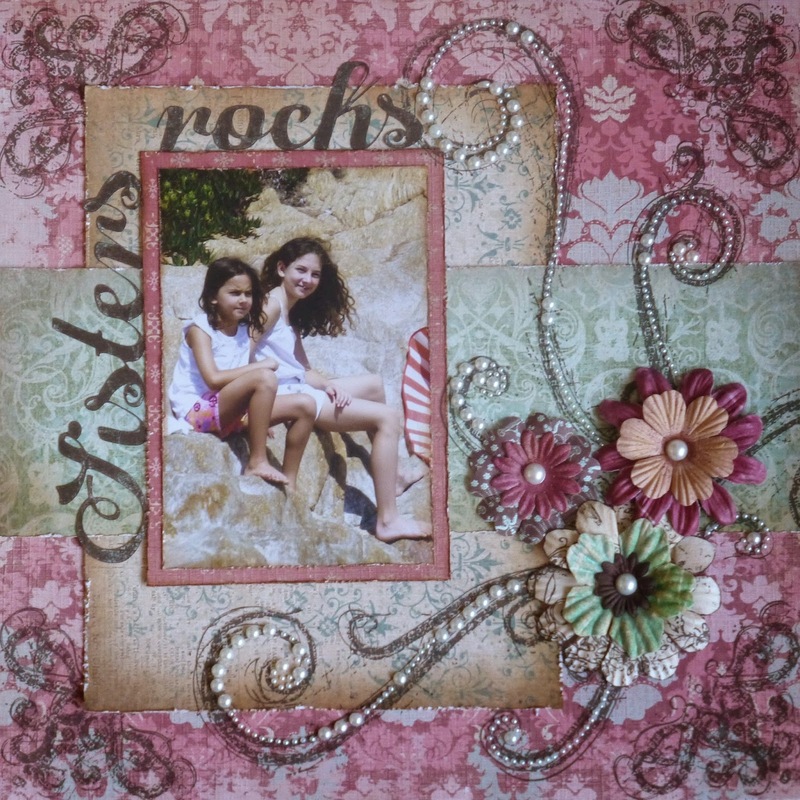 Beautiful work with the flowers and pearls, Valerie! This is stunning!